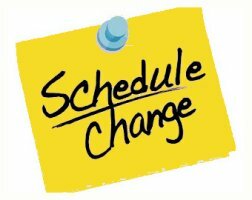 LAKEVILLE, IN – Due to a schedule change, the LaVille Girl’s Golf team will not participate in the New Prairie Invitational on Aug. 7. The next golf match will be Aug. 13 v. Tippecanoe Valley at Round Barn in Rochester, IN. Look for a LaVille Girl’s Golf preview soon right here at www.lavilleathletics.com!